Here's a shocker - walking around in heels is HARD. The higher the heels the closer to god, they say. Well maybe if you believe that pain is transcendent? But I digress. At the end of the day I am a grown-up woman and I have to wear "big girl shoes" sometimes. 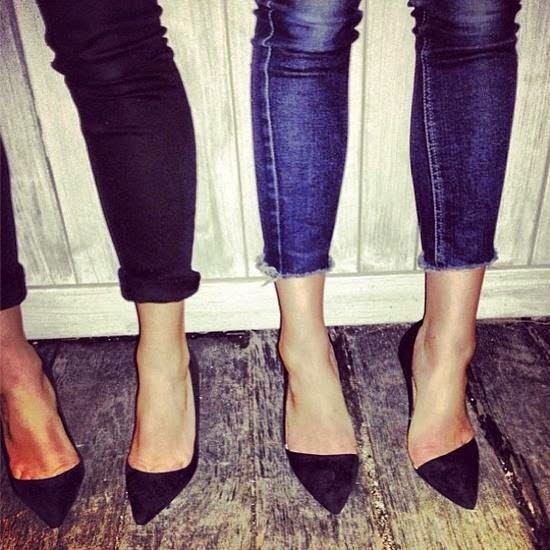 Enter the 2 1/4 inch pointy toe pump. Low enough that your calves don't ache, fierce enough to be worth the time of day when you find lush textures, subtle shaping, gold accents and other next level touches. Here are some I'm lusting after right now. PS, this search is never ending - if you have some great ones shoot me a link in the comments! !